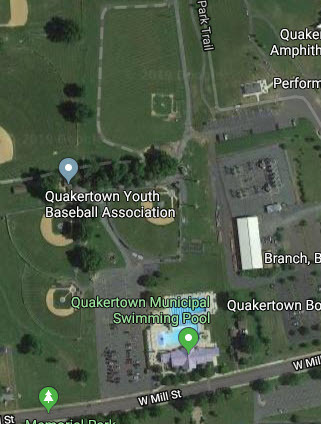 Welcome to QYBA.org, your source for the latest information on happenings in the Quakertown Youth Baseball Association. Quakertown Youth Baseball Association is a program of service to the youth of the surrounding community. It is geared to provide an outlet for healthy activity and training under good leadership in the atmosphere of wholesome community participation. Looking to purchase a glove for your child? Click the link for some helpful information. Looking to purchase a bat for your child? Click the link for some helpful information. Please be aware that there may be times when it is not possible to update the Field Status and cancel games early enough to save you a trip to the fields. We will do our best to make an early decision and have the site updated as quickly as possible. Please keep all of your parent and player information up to date on the QYBA website. This information will be used to contact you in an emergency as well as to keep you informed of any changes to game schedules and to let you know important dates and deadlines such as registrations and tryouts. To check or update your information, simply go to the "Edit My Account" link (on the left side of the Home Page). Next, enter your email address and password and click on submit. If you don't know or forgot your password, simply enter only your email address and click submit - the system will send you your password via email. If you have any problems, email Webmaster @ with the specifics.